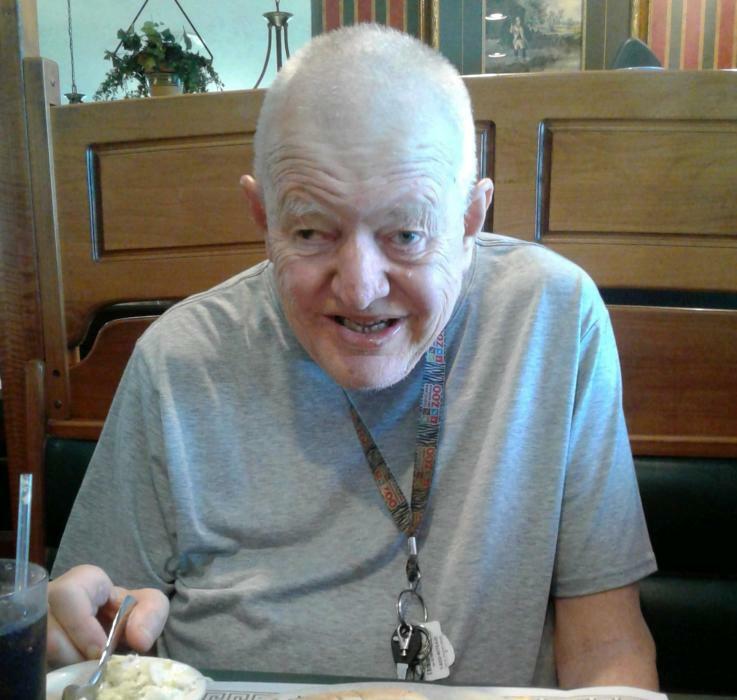 Ronnie Lee Jordan, 67, of Wooster, died Wednesday, March 27, 2019 at Wayne County Care Center. Funeral services will be Friday at 2 p.m. at Roberts Funeral Home with Pastor Bud officiating. Burial will be at Hillcrest Memorial Gardens. Online tributes may be made at www.RobertsFuneralHome.com. Memorial contributions may be made to Wayne County Care Center, 876 S. Gyers Chapel Rd. Wooster, Ohio 44691. Ronnie was born September 5, 1951 in Wadsworth, Ohio to Lazar and Victoria Renuk. Ronnie worked for Nick Amster Work Shop and for Self-Reliance for the last 12 years. He attended Grace Church of Rittman. Ronnie loved word find puzzles and watching old black and white TV shows, especially the westerns. He loved to spend time with his friends at the Self-Reliance day program. Ronnie will be deeply missed by his friends and caregivers who have taken care of him for the last 17 years.